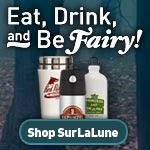 SurLaLune Fairy Tales Blog: December SurLaLune Giveaway: What Fairy Tale Things Are On Your Holiday Wish List? I actually have a very long list of fairy tale related things on my list. Most are books. 1. Rapunzel by Barbara Rogasky and illustrated by Trina Schart Hyman (I love her art). 5. Another thing I would love to have would be a nice collection of bookmarks featuring fairy tale illustrations (traditional versions, not Disney). Beauty and the Beast, East of the Sun, West of the Moon, Catskin, Snow White, Cinderella, Snow Queen... So far my searches have come up empty. 5. The board game Dixit that I keep hearing so much about. This is perfect, considering my wishlist is pretty much nothing BUT fairy-tale stuff. Two things so far - the new version of the Snow Queen illustrated by Sanna Annukka and also the little Ladybird jigsaws of some of their classic fairytales. Both things came into the shop when I work and they are in my Christmas wish list basket!